In June 2012 the City of Guelph undertook development on an Older Adult Strategy. This process involved using the World Health Organization age-friendly cities framework. A project steering committee comprised of older adults, representatives from organizations serving seniors and municipal staff, was formed to help guide the development of the strategy. A review of documents was conducted. 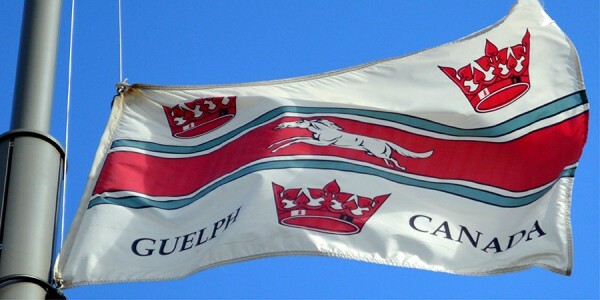 This included resources from the Corporation of the City of Guelph, community organizations, as well as from a number of jurisdictions primarily across North America. Development of the Older Adult Strategy included using the WHO World Café method of facilitated discussions to engage the broader community. Engagement was facilitated through a series of community forums, focus groups, stakeholder interviews, presentations to City Councillors, and a survey available both online and as paper copies. This process informed the development of the Older Adult Strategy report, and articulated the Goal, Vision, and Guiding Principles for the City as it relates to older adults. GOAL: Guelph is a great place to live and age well. In 2013 work began on implementing recommendations to help Guelph become more age-friendly. A Cross Departmental Action team comprised of municipal staff was formed. This will continue to ensure that all policies, programs and services are developed and amended with an age-friendly perspective. The City worked with the University of Guelph to create a Community Profile for Guelph. This will create a baseline assessment of the Guelph community to help to create informed, evidence based decisions to move forward with priority setting and implementation plans for creating an age-friendly Guelph community. In September of 2013 City of Guelph received a grant from the Ontario Seniors’ Secretariat. This grant has provided support to develop a Community Older Adult Leadership Team. This team is comprised of older adults, representatives of organizations serving seniors, business representatives, and municipal staff. Development of this team will create natural opportunities for collaborations across the community. The Community Older Adult Leadership Team is helping to set priorities and develop an implementation plan.